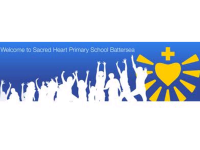 Sacred Heart Primary School Battersea now includes Hilary House, a purpose-built centre for the teaching of children with autistic spectrum disorder (ASD). Hilary House accepts up to 15 children from across the Borough of Wandsworth aged 4-11 whose parents want the experience of a mainstream primary setting combined with the specialist support of a special school. This school is for children at the primary stage. access to specialist services and therapies such as speech and language work. To get a statement please ask the Special Educational Needs Co-Ordinator (SENCo) at your child's school or contact the Special Needs Assessment Service on 020 8871 8061.